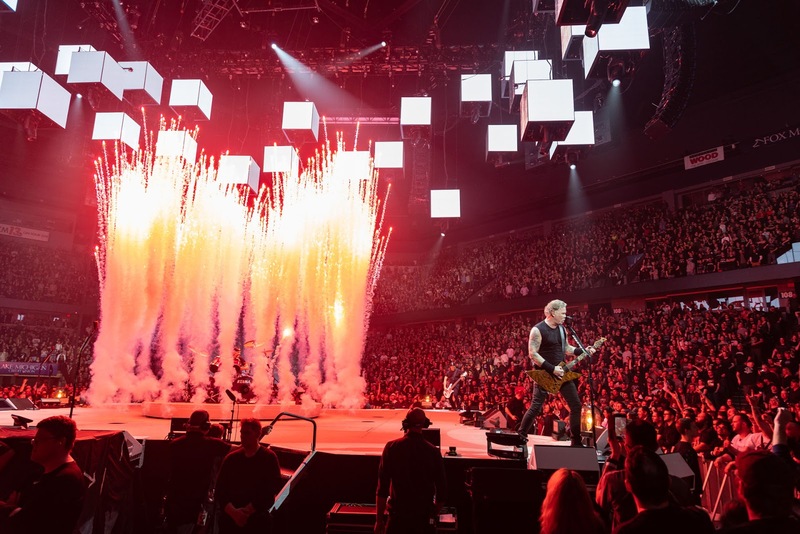 Metallica are streaming live video of their rarely-performed 1983 track, “Phantom Lord”, from the finale of their North American arena tour on March 13 in Grand Rapids, MI. The track originally appeared on the band’s album debut, “Kill ‘Em All”, which didn’t hit the US Billboard 200 chart until three years after its release, where it peaked at No. 66 on its way to eventually selling 3 million copies Stateside. The recent event marked Metallica’s first show in Grand Rapids in 10 years, and only their fourth concert appearance ever in the city. Launched in the fall of 2016 in support of their tenth album, “Hardwired…To Self-Destruct”, the trek has grossed more than a quarter of a billion dollars worldwide to date. The veteran metal outfit will next be seen joining Major League Baseball’s San Francisco Giants as they host the 7th annual Metallica Night at AT&T Park on April 26. Following the baseball event, Metallica will launch a summer run across Europe in Lisbon, Portugal on May 1.